The customer agrees to the following terms and conditions. By placing an order the client is authorizing the company to purchase the required gift in his name and on his behalf and take all the necessary steps to hand-over the gift to his relative. While rendering the service the company is acting only as an authorized representative of the client and not as his agent or in any other capacity. The company shall be handling the material only as a service provider and its liability shall be restricted to that of a bailee under the contract Act. 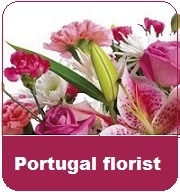 Flowers-link: The company providing the delivery service. Customer: The person using the delivery service and ordering the gifts for the recipient. Gift/s: Products ordered by the customer to be delivered in India. Perishable gift: All gifts in the Flowers, Fruits, Cakes and chocolates. Non - Perishable gifts All Other gifts except perishable gifts. Products: The gifts delivered to the recipient will be generally as per the description of the article, as per the picture chosen by the customer and requested the custom products by customer. All and any disputes related to "Flowers-link" service shall be subject to the jurisdiction of Mumbai (India) courts. All prices are in Euros. Payments will be accepted in Euro and charged to the credit card in Euro. The customer promises that the information provided to Flowers-link will be true, current, correct and accurate including credit card numbers and addresses. The customer also agrees to pay all charges incurred by them and users of your account and credit cards or other payment mechanism at the prices in effect when such charges are incurred. The customer agrees to defend, indemnify and hold Flowers-link and its affiliates harmless from any and all liabilities, costs and expenses, including attorneys' fees, related to any violation of this Agreement by them or your authorized users of your account. Flowers-link may modify this Agreement from time to time by changing the above terms and condition. The terms and conditions applicable to the customer will be the ones that were prevailing on the day and time you placed your orders. If the ordered product is out of stock and Flowers-link is unable to deliver the gift, a complete refund will be made to the customer. We shall not be liable for any other charges, loss of profits, emotional stress or any other liability etc caused due to the non-delivery and non-availability. 2. No one being at home. If the delivery is made after 3 days of the "preferred date" a 25% discount will be refunded to the customer. This is provided Flowers-link made no delivery attempt. In case a delivery attempt was made and could not be delivered due to either a wrong address or no one at home, no refund will be given. If Flowers-link attempts a delivery, and cannot do so as no one is at home, Flowers-link will leave a 'delivery note' at the address. Perishable goods - The recipient will be able to collect the gift from the closest Flowers-link Net work office that will be mentioned on the delivery note. The perishable goods will be held for 24 hours. Also, the perishable goods can be left with a neighbor provided we have received instructions from the customer on the order form in the comment section. No refunds or cancellations will be made for perishable goods. Non-perishable goods - The gift will be returned to the Flowers-link Net work office.. In the event of no one being at home, every genuine effort shall be made to a re-delivery. In the unlikely event the gift is unable to be delivered due to no one being at home we will return the goods to the Flowers-link Network Office. The customer will be informed. The goods will be held for 15 days at the office. No refunds will be given to the customer. The only exception will be if the value of the gift exceeds $40 (US Dollars forty), a US $ 40 cancellation charge will apply and the balance returned to the customer. Flowers-link shall try to deliver the gift on the 'preferred date'. Please allow the minimum time required for delivery as specified in each category. Gift deliveries shall be made within three to seven working days provided the time specified for that category of gifts is not more. Delivery shall be made on the 'preferred day', or a day earlier or later if it coincides with a festival day or a national holiday. Delivery shall be made in the course of the day, and the customer agrees to refrain from requesting for deliveries at very early or late hours of the day. All attempts will be made to deliver at the specified time on the preferred date of delivery but Flowers-link will not be responsible if the gifts cannot be delivered at the specified time. Once a gift is ordered the customer cannot cancel it. The reason being that the system immediately processes the order and sends shipping instructions to International network. Due to the high volume of transactions and because the instructions are sent to over 1200 towns it becomes difficult to cancel the orders. In case we receive a cancellation notice and the order has not be processed by us, we shall cancel the order subject to a 10% cancellation charge. 1. Perishable Gifts (flowers, cakes and chocolates, Indian Sweets) - Cancellation charge - 85 %, refund to customer 15%. 2. Non Perishable Gifts (all others categories, except above) - Cancellation charge - 50%, refund to customer 50%. Once a delivery attempt is made, no cancellation will be accepted and no refunds will be made. 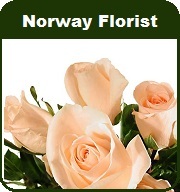 Perishable Gifts – Flowers-link does not provide any warranties.